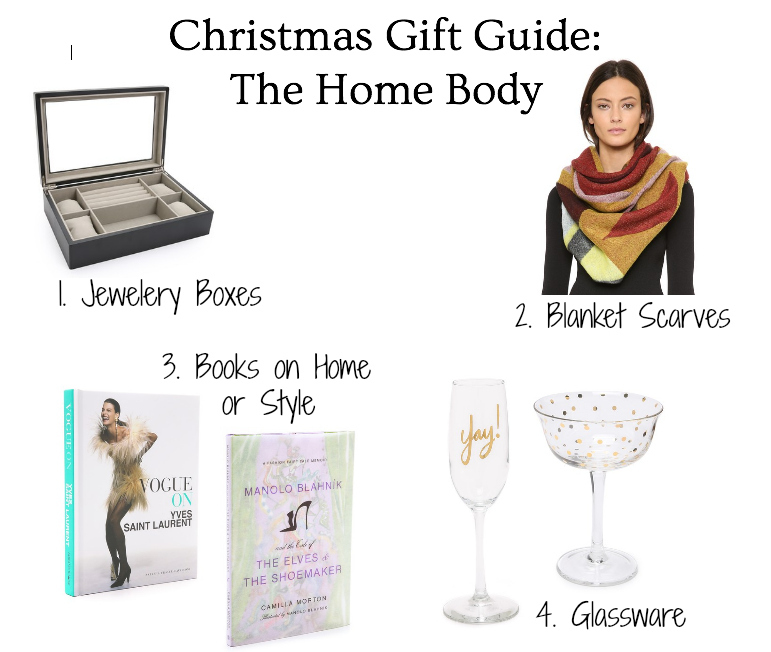 This week‘s Christmas Gift Guide is for those women in your life who just love their home. There are so many great items to make a home feel more cozy, more chic, and just more fun! How cute are the little cookie ‘home’ mug toppers?! Such an awesome gift idea! Also for today – welcome back to 12 Days of Giveaways! 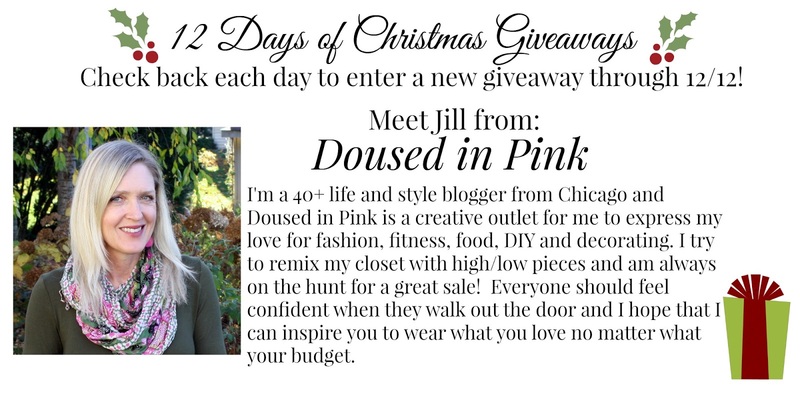 Today‘s featured blogger is Jill from Doused in Pink. Today we are giving away a $30 gift card to the Etsy store Lonye’ Lynn. Lonye’ Lynn makes accessories for women and children – focusing on headwear. Below are some of the options currently available at Lonye’ Lynn. I personally really like the set of hair ties with gold anchors!! E-Shakti Review & Store Gift Cards! 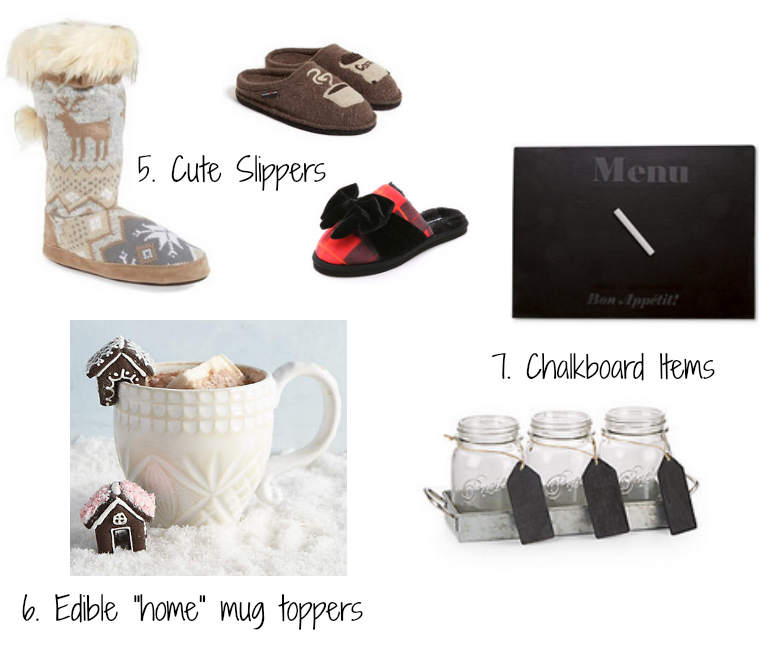 "November Favorites & Tulip Boutique Giveaway"
"Casual Friday & Silver Jeans Giveaway"
Really loving that glassware, too cute! I have never seen mug toppers, such a cute idea! Aren't they the best idea?!?! Love em! Amazing idea and awesome thought share by this blog.